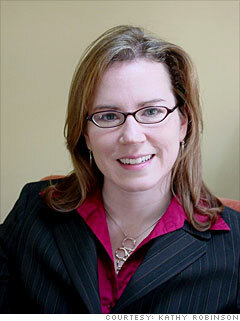 Kathy Robinson is founder of TurningPoint, a career consulting firm in greater Boston. Best piece of advice: Most people don't network nearly as much as they should, because they think networking means being pushy or sales-y. In fact, great networkers never come across that way; instead of saying "I'm so great in xyz career and you should hire me," good networkers say "I have been really interested in xyz career, and have been setting up conversations with people to learn more about what's new in the field." Anyone can network effectively, with the right approach. Expertise: Robinson works with mid- to executive-level job seekers who need help marketing their talents, finding interesting opportunities and getting results in their job search. She focuses on topics such as networking, résumé, personal branding, creative job searching tips and creating job search action plans.